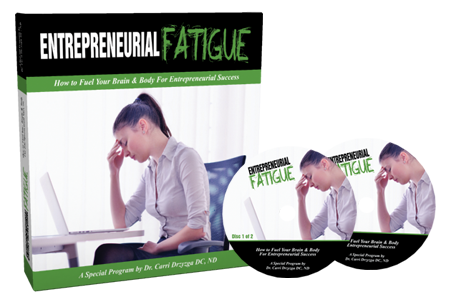 As you may have seen yesterday, I outlined some of the major benefits you will gain when you claim our brand-new Entrepreneurial Fatigue program, the first-of-its-kind to provide such specific insights to help entrepreneurs regain their energy and mental focus. Since the doors open tomorrow (Wednesday), I want to get into the content of the class in terms of some of the outcomes – the tools, techniques, and nuts-and-bolts “how-to” you’ll gain. Seriously, though – and this is VERY serious – right now, insufficient sleep is considered a public health epidemic according to the Centers for Disease Control (CDC). 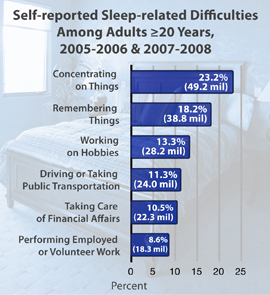 An estimated 50-70 million US adults have sleep or wakefulness disorder. When people sleep less than 5 hours a night on a consistent basis, it doubles your mortality. It doubles your rate of death. It affects every part of your body, including lowering your immune system. It increases your risk of heart disease and diabetes. And for entrepreneurs, this epidemic impacts your productivity and your profits every single day because it impairs your brain. 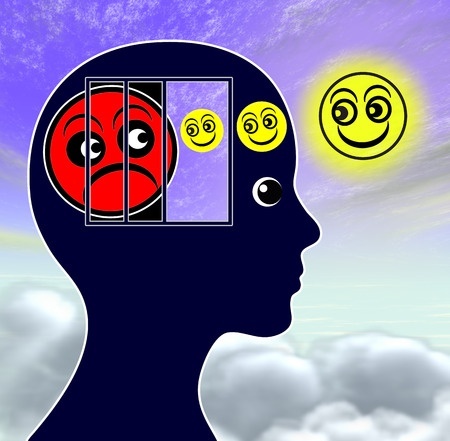 Business success coaches and life coaches work with their clients on mindset. Focus on your vision, build a team to dig your ditches for you, raise your rates, fire your worst clients, attend lots of seminars, and live at the intersection of your passion and your brilliance – and your mindset will improve to drive your success. To a degree, that’s true. But what about entrepreneurs who DO all those things, and more. They know they have the right mindset, but they’re still bored, distracted, tired, and unmotivated? As a Functional Medicine doctor, we focus on finding the cause. A lot of these things that we think might “mindset” are actually driven by your brain chemistry. When you’re able to see progress early-on, you’re that much more likely to stick with something. I want to see you successful, energized, and functioning at full capacity in your business, no longer weighed down by entrepreneurial fatigue. Optimize your sleep space as I describe in this program (it will cost you maybe $20 and you can set it up in 20 minutes). As I’m sharing all the ways this program will really benefit you, I just want to say, I’m sure you’ll agree that it’s important that only happens in a way that feels good and right for you, because you can imagine benefiting from this for all your own reasons. So please, ask for anything that supports you in that, in the comments below.